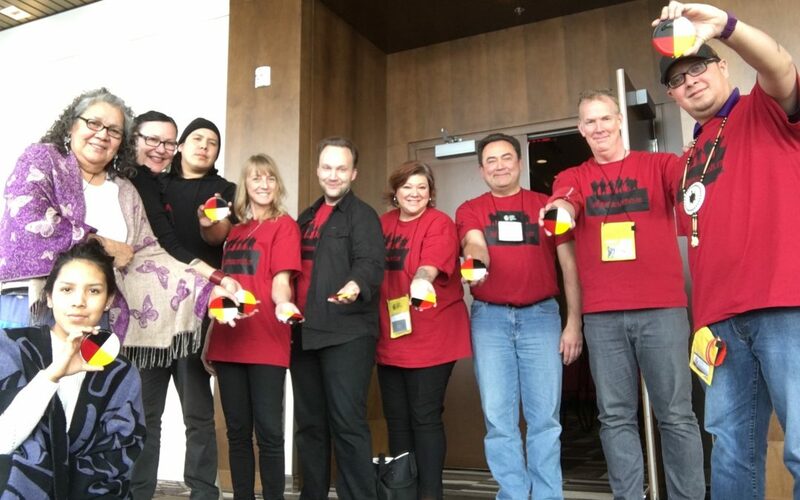 Members of The Royal Conservatory’s Learning Through the Arts (LTTA) program attended the Assembly of First Nations, Directors of Educator National Forum in Calgary on Feb 28 to March 2. Many connections were made with First Nations communities from across the country, as conference members visited the LTTA booth to learn more the Indigenous programs that we offer and meet some of the Indigenous artists who lead them in sites across the country. Our workshop “Collaboration and Connections: Online support and resources for teachers in reserve schools” featured Elder Nk’xetko, a member of the Ntle’kepmx Nation joining in by video conference and Elder Issapaakii, from the Piikanii Blackfoot Confederacy. They were joined by LTTA Indigenous artists and conference delegates who all participated in a brainstorming discussion using online tools to share their responses to an artistic provocation on the theme of water that was shared with the group.